Have you ever wanted your online photos to look as great as mobile apps make your smartphone photos? Fortunately, with the right online app, you don’t need Photoshop or graphic design skills to create images worth sharing on social media. Web Resizer: As you probably guessed from its name, this online image editor is intended for resizing photos. This is a great tool if you have a large image and want to resize it for proper viewing and sharing on social networks. Basic image editing is also possible with Web Resizer. Web Resizer makes it easy to crop images, change to black-and-white, and change color tint. 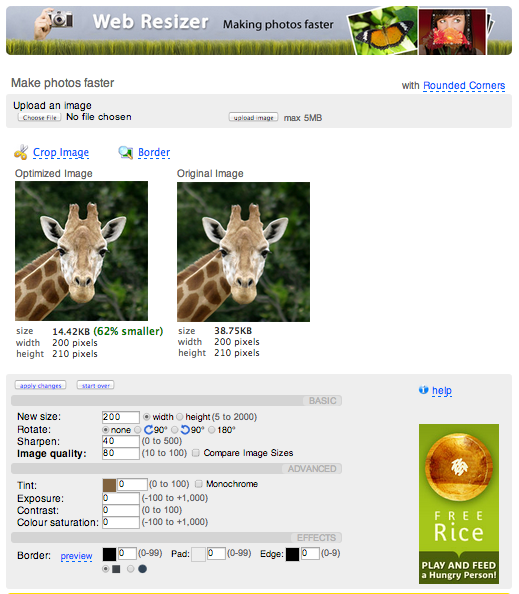 For those with very basic image editing needs, Web Resizer is worth a try. BeFunky: For features such as those available in popular mobile photography apps like Instagram, Piclab, and Wood Camera there’s BeFunky. Users begin by uploading photos from their computer, their choice of a number social networks or directly taken on their webcam. 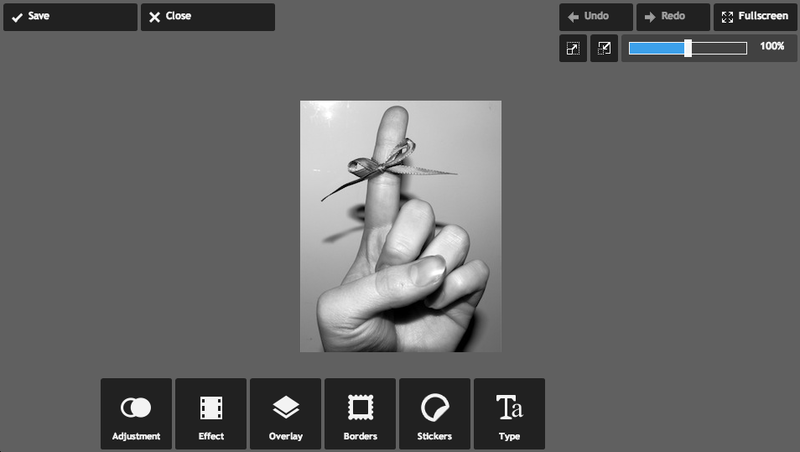 Users can then apply a range of filters, frames, camera effects (i.e. bokeh), or stickers. It’s possible to add text to photos and choose from a range of fonts. BeFunky also makes it possible to arrange a series of images into a photo collage. One standout feature for those who upload selfies or shots of people, is the ability to remove red eye and blemishes, smooth wrinkles, and whiten teeth. 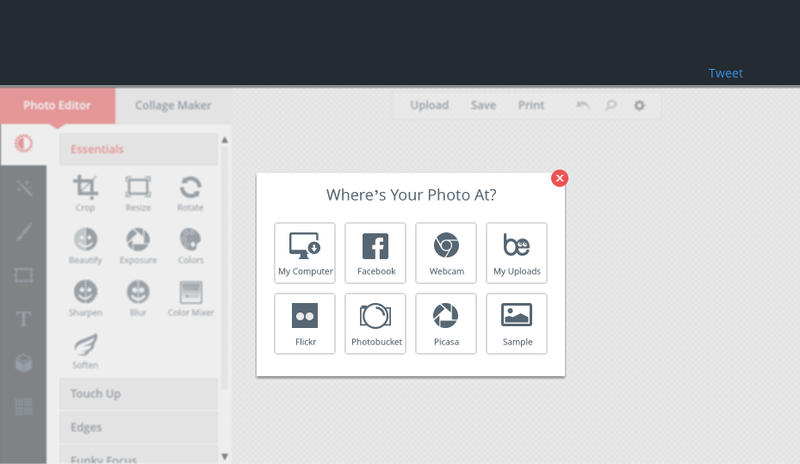 BeFunky is made for social as it allows users to save not just to their computer but to upload to sites like Facebook, Tumblr, Twitter, or Flickr. Pixlr Express: Pixlr Express is much like BeFunky in terms of providing features like filters, frames, stickers, text, and photo collage making. It differs in that it does not allow photo uploads from and to social media and does not include camera effects. However, what it lacks in comparison to BeFunky, it makes up for in a cleaner and easier user interface. This a great tool for someone who wants a little more than Web Resizer has to offer in a simpler format than BeFunky. Pho.to: Like BeFunky and Pixlr Express, Pho.to lets users add frames, tints, and text. Portrait touch ups such as red-eye removal are easier to perform and can be done via the “Touch up” tab. Where Pho.to really stands out is that it provides two features it terms as “Fun montages & frames” and “Cartoons & face fun.” If you want to do something silly and playful with images then you’ll enjoy these features. 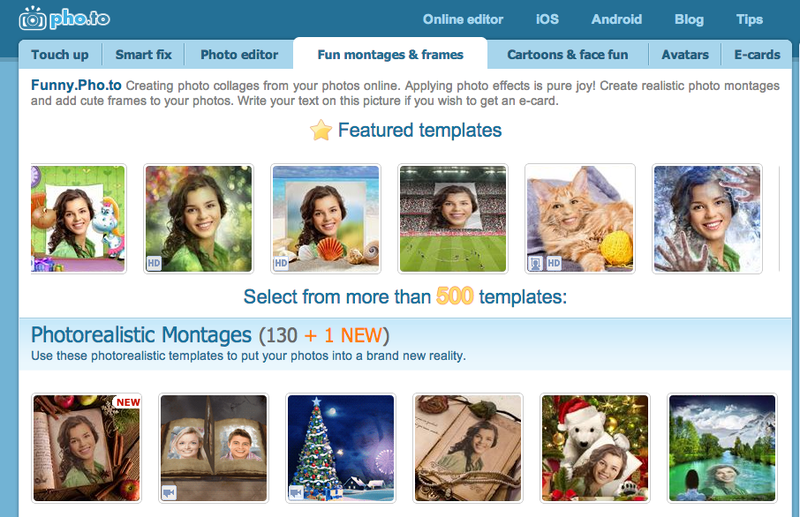 “Fun montages & frames” makes it possible to insert a photo of someone you know into a night sky, on the cover of a magazine, or next to a celebrity. The “Cartoon & face fun” turn portrait shots into cartoons and caricatures. It’s worth noting that the user interface is the least friendly of the image editing tools listed above. The best part of online apps is that unlike photo editing software for your computer, you’re not beholden to any one program. You can pick whichever app you want according to your need – be it for sharing with friends or for an online marketing campaign. So get out there and have fun creating great images!